Have you been wondering if it is time to look for some outside assistance in your genealogical research? Some people hesitate because they think hiring a consultant is a luxury that is beyond their budget. But in my experience this has not been the case. The time saved and the new information and contacts I have gained from working with consultants have more than made up for their very reasonable fees. There are many reasons that might propel a person into the world of working with paid consultants. First, when you are doing out of state research, someone actually living in that area can be very helpful. That person can visit archives or other record depositories to search for information. An in-person search is much faster than ordering records by mail. Not all records have been digitized or are available on the computer. And a local person may know of places to research in the area that you have not thought of. The first time that I worked with an outside consultant was in 2007 when I needed some documents from the Briggs Lawrence County Public Library in Ironton, OH. By studying their webpage, I found that Briggs has microfilm of marriages in Lawrence County from 1817 - present. I was searching for the marriage record of George Washington Spears (b. 1858 in Fayette Township and married in 1887 to Frances Henrietta Allis). But I couldn’t physically get to Briggs at that time so I needed some on-site help. I didn't know any researchers living in Lawrence County. But I knew that a good place to go for local genealogy information is always the local genealogical society. Without this map, I never could have found the Union Hill Cemetery in Union Township, Lawrence County, OH. About a month ago, a consultant found me just when I needed him. I recently picked up the trail of my great grandfather, Henry Kreis, living in Irvington, Essex, NJ in 1920. Until a few weeks ago, I had no knowledge of Henry’s whereabouts after his divorce from my great grandmother, Mary Carney, in 1906 in Chicago, IL. I discovered that Henry had married a second time in NJ to Henrietta Hausmann Williams – who happened to be a character witness at his divorce trial! From Essex, NJ census records, I knew that John Kreis, Henry’s father, was also living in Newark with his daughter-in-law, Henrietta and his grandchildren. 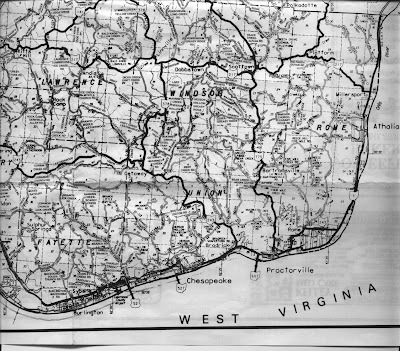 I was hoping to find more information on this branch of my family, so I put a message on the Essex County, NJ forum of genforum.com. The next day Tom Ankner, a local researcher from Newark, NJ, responded to my posting and offered his services. Not only was Tom able to search the state archives for me and find a death certificate for John Kreis, but he suggested another local contact that proved immensely valuable. 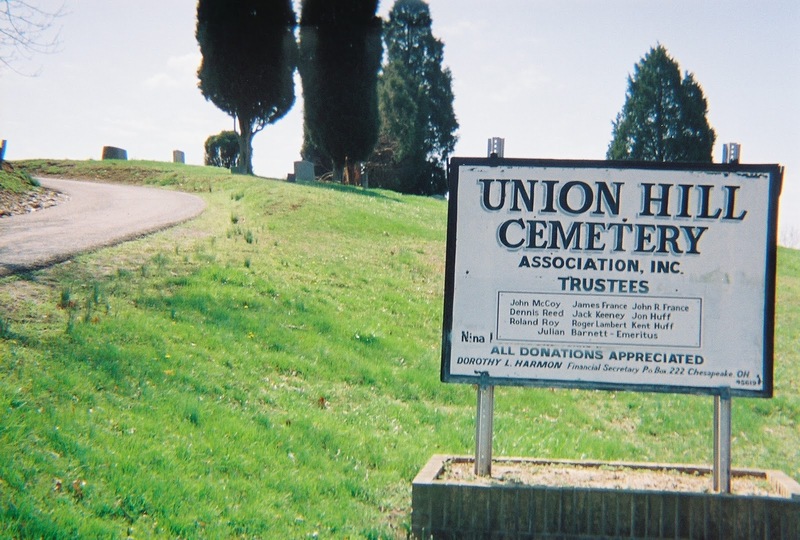 Tom had heard about a local genealogist, Mary Lish, who had “adopted” a cemetery where some of her ancestors were buried. In the last ten years, Mary has digitized many of the burial cards and headstone information from Woodland Cemetery in Newark. She holds an annual “Photo Day” when volunteers clean up parts of the graveyard. This cemetery, like many local graveyards, has little funding for physical maintenance let alone record keeping. Without people like Mary Lish, many burial records and gravestones would be lost to the damages of time. Mary was able to look at her spreadsheet and locate not only John Kreis but several other Hausmanns. I was in for a special surprise. 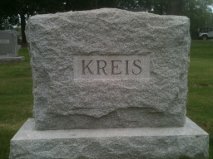 On a burial card for the Kreis/Hausmann plot was a note that Henrietta Kreis was buried in Hollywood Cemetery! Now I needed Tom Ankner. He was able to visit Hollywood and take pictures for me. In my opinion, no research plan is complete without the knowledge of when it’s time to hire an outside professional. Sometimes this decision will mean finding a piece of the puzzle of ancestor knowledge that you might otherwise have missed. In my next post, I will address in more detail what to do after you decide you want to hire a professional researcher. This will include ideas about where to find lists of people offering their services and where to find information on the actual contractual process. How do you negotiate the fee? What will you get for what you pay?